humming the tune to "Louie Louie". Aah baby, we gotta go now." When I began this blog, I made sure to start out by reviewing the terrific "Fair & Square" by my favorite musical artist...John Prine. My family owning every CD recorded by the legend...I can honestly say I've been listening to John Prine music since I was given my first rattle. (I'm 23 now). His music has been so much a part of my growing up...that he has long become my pretend big-brother. 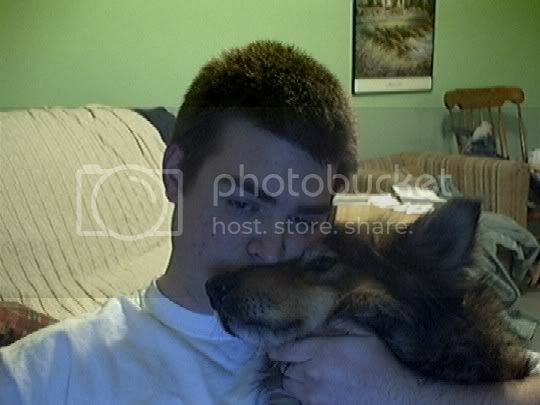 An honorary member of my family. On Feb. 2, 2007, two-time Grammy Award winner, John Prine, agreed to sit down with me for a short interview after his performance at the Orpheum in Wichita, KS. The following is an excerpt. John Prine: Yeah…that was mainly due to John Belushi…He was a friend of mine from Chicago. 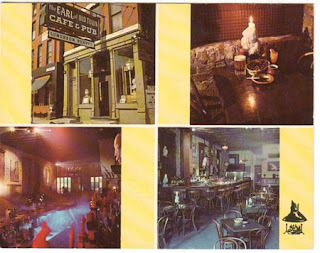 When Steve Goodman and I used to play at the club we started at ..um..the Earl of Old Town on Well Street in Chicago. It was right across the street from Second City and we used to go over there during our breaks and catch Belushi and Akroyd and them at Second City. And Bill Murray was there…and like..um..after Saturday Night Live started…I think it was the beginning of the second season…Every time some big musical act got booked and somebody got sick or they had to cancel…Belushi would always put my name in the hat and say ‘ya gotta get John Prine’. So finally, I was down in Aruba and the Beach Boys cancelled…and they called me and I came up from the Caribbean to do it. And it was directly because of John Belushi. He was always, like, shouting my name out to the producer and telling him they ought to get me on the show. So it was because of him. He was a good guy. Casey C. - How did you choose the songs you performed on SNL? John Prine: I had just written “The Bottomless Lake” but the producer didn’t want me to do it and I insisted on it. He wanted me to do 2 songs from my first album and I said I’ll do one. I‘ll do “Hello In There“ and that‘s it. Casey C. - What are the differences between performing on SNL and on Austin City Limits? John Prine: Oh…Austin City is a lot…um…warmer show, ya know. Like the audiences are usually people who would come to see you in concert in Austin…ya know…Where SNL is kinda…people just get tickets for any SNL so they can be part of the audience. Casey C. - How did Tom Petty and Bruce Springsteen’s involvement come about on your first Grammy winning record, “The Missing Years”? 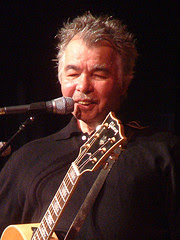 John Prine: Well, the guy who produced it was Howie Epstein…who was Tom’s bass player at the time with The Heartbreakers. And I knew Springsteen from his first record. I knew him back…you know… I’d run into him every once in a while over the years. Uh…he’d come to see me back in the late eighties at a little…uh…I was playing at a little place…uh…Mount Poughkeepsie or something like that. He drove up from Jersey with his girlfriend and I came to his show…so…we caught up with each other. I was making “The Missing Years”, a year after that…so I called him up and asked him if he’d sing on a song. He’s a real good guy, anyway. He’s always been the same guy…since day one. Casey C. - Of all the songs you’ve written, do you have a favorite? John Prine: Oh…yea…I wrote a song called "Far From Me"…on the first album. That’s always been a personal favorite of mine. John Prine: That was the first thing I bought me. I got some record company money so I went and bought myself a ‘59 Porsche convertible. I had just bought’en it and wanted my picture taken in it…so I went down to Lake Michigan…and took my picture. Kind of hairy, isn’t it? (chuckling). Casey C. - Well, Thank you very much for your time. John Prine: Sure, Casey. Thank you. And good luck to you again. (chuckling). I hope to see you own “Rolling Stone” lock, stock, and barrel some day or something. John Prine was heading to Kansas City to do another show the next night, but he never rushed our conversation to get to it. Very, very easy-going...just like a big-brother ought to be. He told a terrific story about Belushi doing Brando doing "Angel From Montgomery" one night out with the boys. Hilarious...and one thats stays in my drawer. John Prine is an underrated American treasure. i just found this one and wow. that must have been amazing. major props on that one. you asked some great questions too. i loved it. Don't Need...Thanks for the drop-in. Great interview with Prine, and good to see his passing reference to Steve Goodman, who often doesn't get his due. Thought you might be interested in an eight-year project of mine that has come to fruition -- an 800-page biography of Goodman published last month. Please e-mail me at ceals@comcast.net if you would like a background sheet on the book. Or check my Internet site below for more info and to order. Just trying to spread the word. Feel free to do the same! Your book sounds fantastic. I will be ordering the 800 plus bio very soon. A friend of mine lead me to your written interview with John Prine. Nice one man. I wish that it could have been a bit longer....I really enjoyed it. Reading through the comments I saw Clay Eals mentioned his biography of Steve Goodman and it brought to mind a question I have wondered about. Is there a biography in book form written about John Prine? I along with countless others would pick up a copy. Thanks for posting your work. Enjoyed your John Prine interview. I didn't realize he had performed on SNL or hung out with that original bunch. You captured his warmth. jcamenga...Thanks. John Prine was so gracious with his time. A true gentleman.